Neteller is a virtual wallet trusted by millions of merchants and consumers with a fast, simple and secure way to move money online. 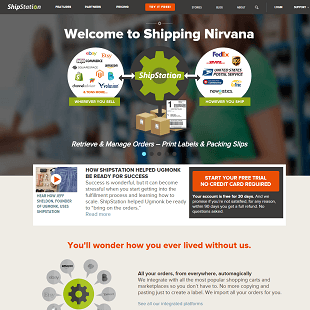 The company now services customers in more than 200 countries. Trying to conveniently and securely gamble at online casinos or trade currencies on the foreign exchange market can be challenging. Neteller is a virtual wallet that is widely accepting at online casinos and Forex trading sites. Active gamblers, traders and shoppers continually battle with credit card fees especially when dealing with foreign countries. Neteller makes fees consistent. The money transfer business opened in 1999 in Canada. The company now services customers in more than 200 countries. Currently operating from the Isle of Man, the service is listed with the United Kingdom government’s Financial Conduct Authority. The FCA protects consumers and financial markets as well as promoting competition. Neteller is owned by the Paysafe Group, which is a public company. The Paysafe stock symbol is PAYS. 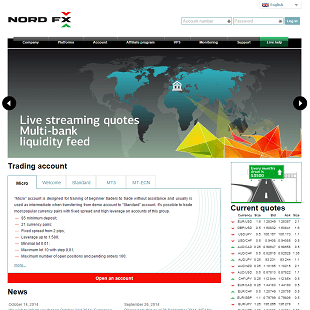 It is traded on the London Stock Exchange. 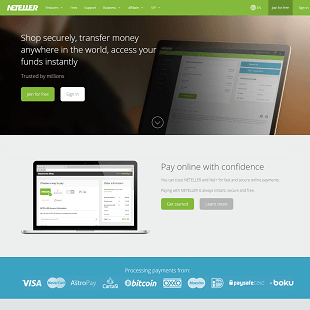 Net+ card is part of the Neteller account. Members will receive a physical card in the mail after they deposit at least $20 in their Neteller account. There is no credit check for the Net+ card because it’s not a credit card. Users can only spend what is on the card. The card balance limit is $10,000. The Neteller website lists Maestro and Visa Electron, but those cards are not available to U.S. residents. Online gamblers oftentimes have trouble retrieving payouts from casinos because they won’t send money to a credit card account. 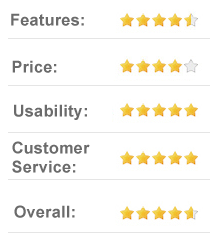 Neteller users have far less trouble. There is no waiting for a printed check or a transfer to a Western Union office. 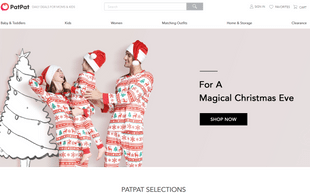 Most online casinos in the U.S. do not accept PayPal, but Neteller is very popular. There is no U.S. federal law against online gambling in general. Gamblers can access U.S. casino websites such as the Golden Nugget and use Neteller for deposits and withdrawals. Certain U.S. states have laws against online gambling. U.S. gamblers can access international sportsbook casinos such as BetOnline.ag and fund their accounts using Neteller. BetOnline.ag’s physical location is in Panama. Neteller offers apps for Android and iPhone. Many Forex trading websites seem to be accessible to most countries except the U.S. Other Forex web sites exclude all EU countries. It may be difficult for U.S. residents to find a Forex broker they can use and that accepts Neteller. Traders should be careful to use brokers that are regulated by an independent organization such as the FCA. Non-regulated brokers are notorious for charging hidden fees. Members in the U.S. can fund their Neteller account with major credit cards or debit cards with a MasterCard or Visa logo unlike some other e-wallet providers that require a bank account transfer. The Net+ card carries the MasterCard logo, so cardholders can use it wherever MasterCard is accepted. These transactions do not incur a fee unless they involve foreign currency, just like a regular credit card or debit card. For those wishing to deposit to or withdrawal from their account in a foreign currency, there is a foreign exchange fee calculator in the account menu on the website. 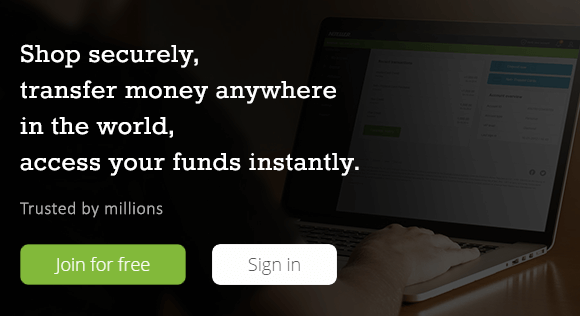 Neteller offers instant money transfers even to people who do not have an account. Recipients without an account will receive an email telling them to open a free account. The transfer is free if both parties use the same currency. The Neteller VIP program has five levels. VIP status comes with fee discounts, higher ATM withdraw limits and loyalty points. There is a dedicated VIP manager to answer member questions. The bank transfer withdrawls feature is only for UK residents. If Neteller members link their account to eWallet-Optimizer.com, they will quickly achieve the silver level and other benefits. Members must email a scan of their ID card to complete registration. The eWO account is free because the German company makes money through its partnership with Neteller. Neteller offers a few affiliate programs. Websites can join the Neteller Affiliate program to earn 20 percent commissions on transfer to fees. They also can join the Net+ Card Affiliate program to earn $5 every time a new customer opens an account. Members also can sign up to be ambassadors and receive a 20 percent revenue share from referrals on all their future transactions to merchants. Businesses that want to offer Neteller as a payment option to their customers can fill out a form on the Neteller website to contact the sales department. 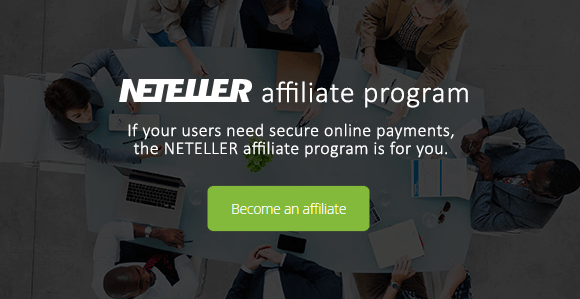 Neteller even offers a joint affiliate program. Members do not incur a fee when using Net+ prepaid card to to pay in shops, restaurants or online. There is a 3.39 percent fee for foreign currency exchanges. Making a withdrawal at an ATM will incur a fee of 1.75 percent. There is a monthly administration fee of $2.99. A paper statement costs $3. Replacing a lost card costs $5. Members can make two withdrawals every 24 hours for a total of $500. The minimum withdrawal is $10. For U.S. residents, there is a 2.5 percent fee for deposits from credit and debit cards. Those members who have a balance on their account but do not use Neteller for 14 months will be charged a $30 inactivity fee. The company will email the member one month before it charges the fee. To close an account, members must call. Neteller is quite transparent about account fees on its website. This is in contrast to other e-wallet companies. PayPal Prepaid MasterCard users will need to find and download the cardholder agreement then search through the 23-page document to find the fee schedule. PayPal charges cardholders a $4.95 administrative fee every month. Considering users have to fund their PayPal card via a bank account or their regular PayPal account, a bank debit card with a MasterCard logo would be a better deal. About the only thing more ridiculous than a PayPal debit card is a 401(k) debit card. The two-step authentication works with Android, iPhone and Blackberry devices. Users will have to install the Google authenticator and a barcode reader. 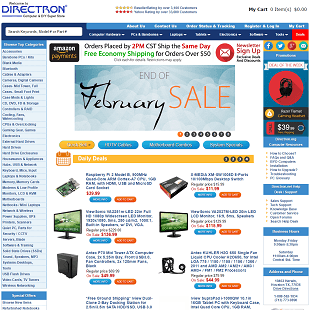 Often, gamblers and shoppers visit websites that may not appear to be completely reputable. By using a Neteller account, users avoid exposing their credit cards and bank accounts. Online gamblers sometimes visit new casino sites after being drawn in by the promise of bonuses, skip research and just type in their credit card number. Neteller accounts create an extra layer of security between personal financial information and vendors. There are websites that curate lists of casinos with the best bonuses. Often, the promotions are temporary, so having a Neteller account can allow gamblers a convenient way to hop from casino to casino and quickly grab bonuses. Recently, the Silver Oak Casino offered a first-deposit bonus of $1,000 plus a 555 percent match bonus. U.S. residents have to pay a 3.39 percent fee to buy things abroad. By comparison, American Express Blue Cash Everyday credit cardholders only pay a 2.7 percent foreign transaction fee. 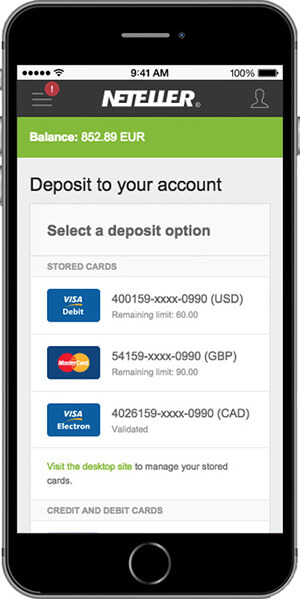 In the U.S., bank transfers (ACH) are not allowed for funding a Neteller account. A bank debit card with a Visa or MasterCard logo can get around this, but there is a fee. 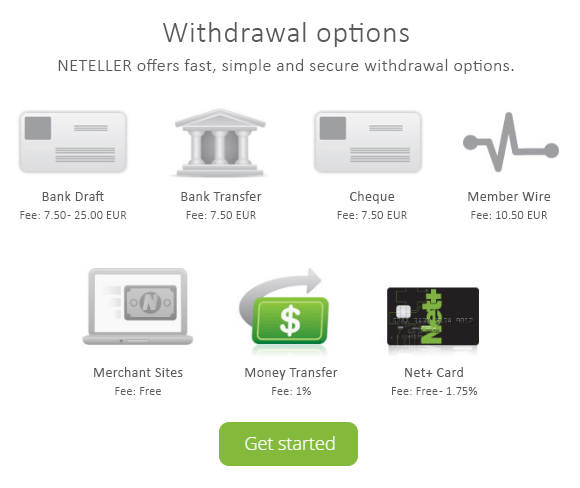 There seems to be only one way to withdrawl money from Neteller for U.S. residents, and that is to use the Net+ at an ATM. Thrifty consumers will want to search for fee-free ATMs in their area. Those who do a lot of traveling may run into problems using their Neteller account while in non-serviced countries and banned countries. Banned countries include Iraq and Syria. 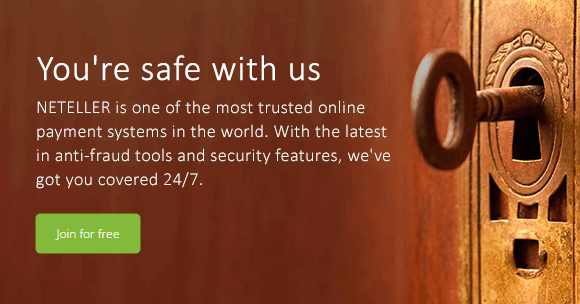 Neteller has 24/7 live customer support. Because of the company’s extensive security features, customers can get locked out of their account. If this happens, they can call the support line and present identification. 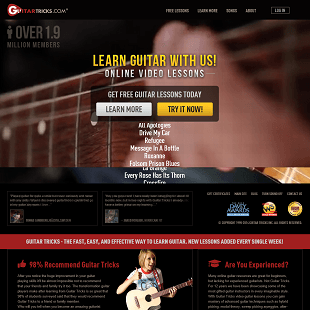 There is an extensive and searchable frequently asked questions section on the website. 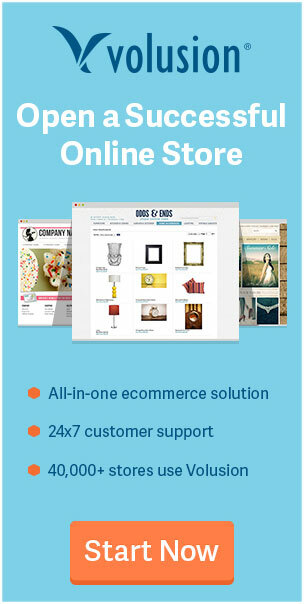 Customers also can email member support. Consumers who don’t have credit cards and don’t trust debit cards when shopping online at offshore vendors, Neteller can be a convenient alternative. The main markets for Neteller in the U.S. are online casinos and non-U.S. Forex trading sites. Neteller offers exceptional security for consumers and merchants.